Update: Following John Carmack’s lengthy Facebook post earlier, which you can read in the update below, ZeniMax have released another post-court statement, highlighting the facts of the case. In the statement, ZeniMax point out some key points of the court case that suggest data was in fact stolen from the company when John Carmack moved to Oculus. “In addition to expert testimony finding both literal and non-literal copying, Oculus programmers themselves admitted using ZeniMax’s copyrighted code (one saying he cut and pasted it into the Oculus SDK), and [Oculus VR co-founder] Brendan Iribe, in writing, requested a license for the ‘source code shared by Carmack’ they needed for the Oculus Rift,” said ZeniMax in a statement provided to Gamasutra. 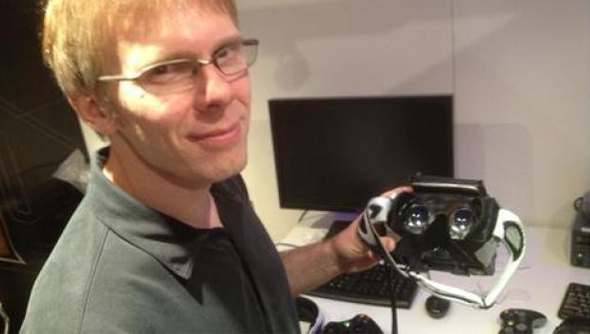 Update:John Carmack has released a lengthy Facebook post in response to accusations that he tried to erase evidence of wrongdoing after leaving ZeniMax for Oculus. The id Software founder claims that ZeniMax’s in-court arguments misdirected, omitted information, and portrayed him in bad character. “I never tried to hide or wipe any evidence, and all of my data is accounted for, contrary to some stories being spread,” says Carmack in the Facebook post. ZeniMax employed a computer forensics expert to attempt to prove some wrongdoing, and the expert suggested some code was “non literally copied”. Carmack says that’s not true, and that Oculus never had access to the Id C++ VR code. “Early on in his testimony, I wanted to stand up say ‘Sir! As a man of (computer) science, I challenge you to defend the efficacy of your methodology with data, including false positive and negative rates.’ After he had said he was “Absolutely certain there was non-literal copying” in several cases, I just wanted to shout ‘You lie!’,” says Carmack. The lengthy post goes on to explain how code can end up performing the same task while being different at its core, and how the two companies ended up with different solutions. Carmack closes by pointing out that expert witnesses can charge upwards of $600 per hour, so he can see why it’s a tempting career path. He just believes that the expert’s findings should be publicised – especially when making such assured claims. Original Story: John Carmack is known for being a bit of a tech genius in the land of games. The man founded id Software, for flip’s sake. Additionally, he headed up development on id videogames Commander Keen, Wolfenstein 3D, Doom, Quake, and Rage. Carmack created many of the techniques used in computer graphics. He’s aslo lead engineer of Armadillo Aerospace. He’s a real life rocket scientist. You know, from the cliche. Because of Carmack’s technical proficiency, it’s slightly surprising that he allegedly googled ‘how to wipe a hard drive’ after he left ZeniMax and moved to Oculus. ZeniMax were just awarded half a billion dollars in damages in a court case with the VR headset creators, thanks to a broken NDA. These revelations about Carmack’s apparent behaviour when he moved between the two companies are now surfacing off the back of the case. In court, ZeniMax accused Carmack of stealing Rage source code, as well as thousands of electronic files on a USB storage device which contained ZeniMax VR technology. “Carmack intentionally destroyed data on his computer after he got notice of this litigation, and right after he researched on Google how to wipe a hard drive. Data on other Oculus computers and USB storage devices were similarly deleted,” said ZeniMax in a statement to GIBiz. The hard drive googling accusations were determined by a court-appointed, independent expert in computer forensics.